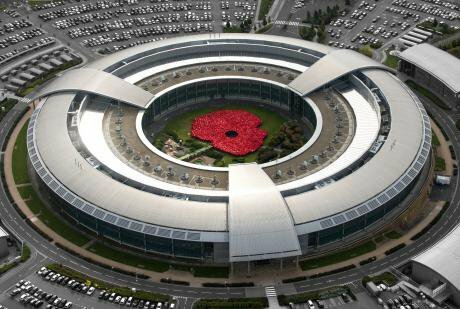 GCHQ HQ, Cheltenham. Image, GCHQ, fair use. Although the European Commission made no formal comment and lodged no official complaint, there was internal disquiet in Brussels that GCHQ, or another division of British intelligence, had obtained a highly sensitive PowerPoint presentation which offered a critical assessment of Britain’s plans to stay aligned to EU rules. The document was allegedly obtained the day before May’s Brexit plan was presented to her cabinet at Chequers in July. Later reports suggested that the UK had lobbied at the “highest level” to prevent the European Commission from releasing any negative documents. UK officials privately dismissed the idea of spies being deployed, pointing out that Brussels was a large bureaucracy with numerous sources where information could be leaked. The Enterprise Forum was founded by the Foreign Office and International Development minister Alistair Burt, with paying members expected to respect the 'Chatham House' rule of keeping what was said private. Burt, according to a spokesman for the Enterprise Forum, did not attend the Gibb talk. The spokesman said that representatives of companies present in the audience included the oil multinational BP, and the German-owned engineering conglomerate, Siemens. Gibb is also reported to have said that the Europeans disliked the Northern Ireland backstop because it gave the UK access to the EU’s single market. He initially told the audience that there was a 2% chance the backstop could become permanent, but later revised this down to zero. He also said that ‘no Brexit’ still remained a potential outcome, especially if the Commons voted down May’s Brexit deal. He called for “full” backing from Britain’s business community to help push through May’s deal. Gibb, a former editor of the BBC’s Westminster programmes before joining Number 10 after the 2017 snap election, described a war-room atmosphere inside Downing Street, which began operating near 7am every day and did not wrap up till almost 10pm. He said each day was marked out to a deliver a new ‘take back control’ theme and that Michael Gove and Liam Fox were being deployed this coming weekend to sell May’s deal. However it was his comments on knowing “what the Europeans are thinking” and his claim that Number 10 held an intelligence folio of “ transcriptions of conversations” that has rung alarm bells in Brussels. With some in the audience appearing shocked at what they were being told, Gibb reportedly said he needed to stop himself, because he might be talking too much. An Enterprise Forum spokesman said that, given its Chatham House rule policy, it was down to Downing Street to comment on what Gibb had or had not said. Number 10 was asked to comment on Gibb’s description of transcribed conversations and intelligence that confirmed what Europe was thinking. As of time of publication, no comment had been received.